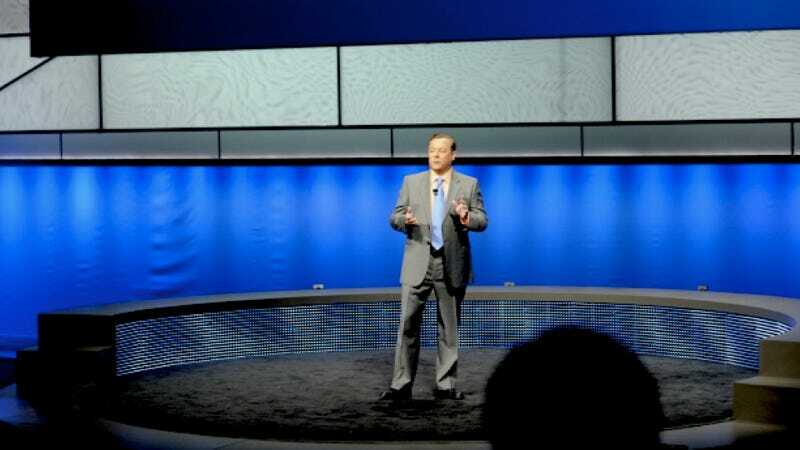 Further solidifying the stance that we're not gonna hear anything about Sony's next console, Jack Tretton, the boss of Sony Computer Entertainment America, told IGN that we can rule out any PS4 reveal in 2012. "I, quite frankly, would be very distracted if I had to be talking about next generation hardware this year," Tretton told IGN. "Right now, we're focused on PlayStation 3, and I've got [the PS Vita] to get out the door in seven days, so I don't want to be thinking about trying to launch new technology anytime soon." Earlier reports had Sony shooting down rumors there would be a PS4 reveal at E3 this year, which is in June. Of course, since then, the code name for Microsoft's next console has been outed, and rumors swirl that devkits already are on the way to top-of-the-line publishers. In other no-kidding-really? news, SCEA's marketing chief told GameTrailers TV that his kids were looking forward to Call of Duty on the Vita "in the autumn," adding that COD on Vita is "an absolute game changer for this platform." The series released a version on PSP last year along with the main title's launch.